WASHINGTON — The House Judiciary Committee on Wednesday is expected to approve a resolution to issue subpoenas for the full report prepared by special counsel Robert Mueller as well as documents from five former officials from the administration. The committee on Wednesday morning planned to consider the resolution, which calls for the final Mueller report as well as "any accompanying exhibits, annexes, tables, appendices, other attachments and all evidence referenced in the report" as well as "underlying evidence collected, materials prepared, or documents used by" Mueller's office. The measure would also authorize the committee to issue subpoenas for documents and testimony from five individuals: former White House counsel Don McGahn, former Trump adviser and White House strategist Steve Bannon, former White House communications director Hope Hicks, former White House chief of staff Reince Priebus and former White House deputy counsel Ann Donaldson. The move comes a day after the deadline that House Democrats set for Attorney General William Barr to release the full Mueller report to Congress and the public. Barr said in a letter last Friday to Nadler and Senate Judiciary Committee Chairman Lindsey Graham, R-S.C., that he planned to release the report to Congress "in mid-April, if not sooner," but also said that there would be redactions. In a letter to Barr on Monday, Nadler and five other Democratic committee chairmen wrote that that pledge wasn't enough. 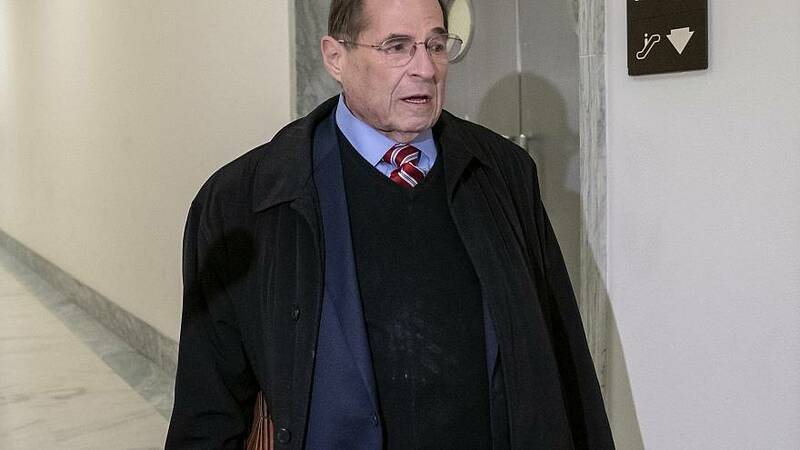 "On Wednesday, April 3, 2019, the House Judiciary Committee plans to begin the process of authorizing subpoenas for the report and underlying evidence and materials," they wrote. "While we hope to avoid resort to compulsory process, if the Department is unwilling to produce the report to Congress in unredacted form, then we will have little choice but to take such action."